Every dog has his day, but Easter belongs to the bunnies! 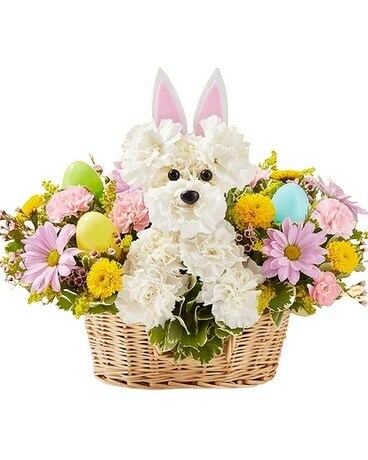 We’ve dressed up our truly original a-DOG-able arrangement for Easter, adding pastel carnations, asters, and poms. With a pair of festive bunny ears and accented with colorful eggs, this playful pet creation is sure to make it a hoppy holiday celebration!